I hope that y'all had a lovely Thanksgiving with your loved ones. My husband and I got to spend Thanksgiving with both sides of the family this year. And for that, we are both extremely grateful. As soon as Thanksgiving dinner ends (or maybe even before it begins! ), most people have Black Friday sales and gifting on the brain. I admit that I am a very Type A kinda gal and am usually done shopping by the time Black Friday rolls around. But, I know that isn't the norm for most. 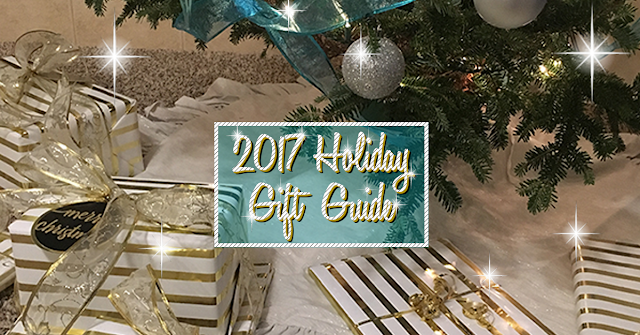 I've put together this Holiday Gift Guide to help you navigate some of the best options for all of the different types of family and friends that you might have to purchase gifts for this holiday season. Most of the items that I've selected are over 20% off right now. Check out my suggestions below, and happy shopping! Benefit They're Real! - I first received the mini version of They're Real in a Benefit gift that my best friend gave me for my birthday. I soon after purchased the full-sized version. It's now part of my top three mascaras that I keep on rotation. Moroccanoil Travel Kit - I started using Moroccanoil shampoo and conditioner a couple of months ago. My hair stylist used this to wash my hair, and I've been obsessed with it ever since. The Travel Kit is the perfect option for the gal who takes pride in having fabulous hair. Impressions Vanity Co. Touch XL LED Makeup Mirror - LED Makeup Mirrors take makeup application to the next level. This one is at a fantastic price point of $45 and is on my wishlist this year. If you want to really spoil your beauty guru, they also have the Touch Pro LED Makeup Mirror with Bluetooth Audio & Speakerphone. Philosophy Fresh Cream - This stuff is fantastic...it makes baths feel extra luxurious with lots of bubbles and a soft cream scent. Sephora Collection Face Mask Collection - LOVE. I use these sheet masks on the regular. This set is perfect. It sells out quickly -- snag it before it's gone. Tory Burch Fleming Convertible Shoulder Bag - This chic bag is a splurge-worthy gift. Its classic ladylike shape, details, and leather/chain strap remind me of the Chanel Classic Flap (but at a much lower price point). It can be worn as a shoulder bag or cross-body so it's super versatile. Kate Spade New York iPhone Leather Wristlet - I have this wristlet in black and love it. It has card slots and will hold the iPhone 7 or 8 (regular or Plus). It can be used as an everyday wallet or a clutch for nights out. It's available in Black, Plum, and Rose Gold and is currently 30% off at Nordstrom. Fownes Brothers Short Leather Gloves - These gloves will add a much-needed pop of color to a winter wardrobe. Leather gloves are a classic gift for any lady on your list. J.Crew Betty Sunglasses - Tortoise sunglasses are a wardrobe staple. This fabulous pair has a mirror lens. She'll be able to wear them from season to season for years to come. Free People Movement Turnout Yoga Capris - These yoga pants are made of a premium Italian-sourced tech fabric and feature wrap ties. They come in black, turquoise, and purple. The Turnout Yoga Capris will make the fit chic feel super cute while she's burning all of those calories. S'well Gem Collection Pink Diamond Stainless Steel Water Bottle - S'well Bottles are fantastic. I bought one at my local Pure Barre studio. They are trendy, come in a variety of styles and prints, and will keep a beverage ice cold ALL day. I take mine everywhere. Fitbit Alta Wireless Fitness Tracker - Nothing keeps a gal motivated like hourly reminders to move. The Fitbit Alta is one of the sleekest trackers on the market. I have had mine for a couple of years. It's an all-day activity monitor (steps, exercise, and calories burned), but also tracks sleep and will send call, text, and calendar alerts. Nike Free Run Distance 2 Running Shoe - These running shoes are unlike any others that I've worn. I am NOT a runner, but I love these shoes. It's like walking on a cloud (not an exaggeration). My brother and I both have the Black/White/Cool Grey pair. Buy a pair for yourself too! KitchenAid Classic Plus Standing Mixer - I received my KitchenAid Mixer as a wedding gift from my uncle. It was a total game changer for me, and I honestly don't know how I ever lived without it. This is a pricey item, but it's worth every penny. It's currently 30% off at Macy's. So, if you have someone on your list who wants this (or if you do), go purchase it now! Pottery Barn Great White Tiered Stand - This is an entertaining must-have for me. My friend and I were just discussing this item earlier today. She was debating between purchasing herself a tiered stand or a cheeseboard. I explained how versatile this item is - it's great for hosting a classic English tea party, for showcasing desserts and appetizers, and can even be used as elevated cheese plate. The Great White Tiered Stand is just $36 on sale right now. Your foodie/entertainer will love it. west elm Claudia Pearson City Tea Towels - These tea towels are SO cute -- each towel features a different major city name and corresponding illustrations of city highlights/landmarks. They would make the perfect hostess gift too! Anthropologie Gold Polka Dotted Apron - Every foodie/entertainer needs an apron that doubles as a dress for when cooking for a special someone or guests. This adorable apron is just $34 and will make her feel fabulous even if she has flour in her hair. They also sell an adorable matching apron for daughters. Giorgio Armani Acqua di Gio - This cologne is my husband's favorite and is also one of the bestsellers year after year. The top notes are mandarin, bergamot and neroli, and the base notes (dry down) are amber, Moroccan cedar, and patchouli. It will be like a gift for you too -- you won't be able to get enough of this scent! Jack Black Grab and Go Traveler - Every man needs a great travel kit. My husband was never one to consistently use grooming products like cleanser and moisturizer, but this kit changed that. All of the Jack Black grooming products are high quality essentials that any guy in your life would love. J.Crew Cotton-Cashmere Shawl-Collar Sweater - Spoil him with a sweater that he'll want to wear for every casual Friday and weekend during fall and winter. J.Crew's cotton-cashmere sweaters are super luxe without the super luxe price tag. This particular style comes in Heather Grey, Heather Charcoal, and Navy. It's currently 40% off with the code: 'THANKU". Natori Aphrodite Short Wrap Robe - I bought this robe in white for my wedding day, and I'm dying to get it in another color. It's super silky, and I'd wear it all day long if I could. It's currently over 40% off at Gilt & Amazon. Note: it does run a little large (as I have found with most robes) -- so size down. Anthropologie Gilded Shapes Monogram Mug - No one does the monogram mug better than Anthropologie. The original gold monogram mug was all over Instagram when they first released it. This mug is equally cool and will make her morning cup of coffee or tea feel a little more special. Capri Blue Jar Candle - I am a bit of a candle hoarder (mostly Bath & Body Works), but this candle is AMAZING! The Volcano scent is a cult favorite, but Aloha Orchid is my personal favorite. Capri Blue candles have a super long burn time - 85 hours. Your homebody will enjoy every minute of it. Lumee Duo LED Lighting Case - If your techie is a master of the selfie and a self-proclaimed iPhone photographer, this Lumee is the perfect gift. It features double the perfect lighting for both the selfie cam and the rear cam. Priced under $100, this is a budget friendly gift. Michael Kors Access Bradshaw Smart Watch - If the Apple Watch isn't stylish enough for your techie, this watch blends fashion and function. It does triple duty and acts as a timepiece, a fitness tracker, and syncs with a smart phone to provide alerts. The Bradshaw Smart Watch comes in five different colors: Gold, Navy, Silver, Rose and Black. The Black is currently $199, and the rest are 20% off the original price. Amazon Echo Dot - The Echo Dot is another budget-friendly techie gift. It also happens to be on my husband's wishlist this year. The Echo Dot is a hands-free, voice-controlled device that uses Alexa to play music, control smart home devices, make calls, send and receive messages, provide information, read the news, set alarms, read audiobooks from Audible, control Amazon Video on Fire TV, and more. It's currently 20% off and priced at just $29.99! Amazon Echo Show - The Echo Show is a total showstopper. I first encountered it at my uncle's house over Labor Day Weekend. I was amazed by all of its capabilities. It supports live video and messaging between Echo Show devices and the Alexa App, is a portable speaker with stereo sound powered by Dolby, and will stream music from Amazon Music, Spotify, Pandora, and more. It'll become the techie's new best friend while he or she is cooking in the kitchen, working in the home office, or cleaning the house. It's currently 22% off. I hope that you found my 2017 Holiday Gift Guide to be a helpful tool to kickoff your holiday shopping. This post was A LOT of work but really fun to put together. Comment below to let me know what's on your wishlist or if you have any other suggestions! Nordstrom is one of my favorite stores. They have everything from investment pieces to trendy must-haves, and their selection is always of the utmost quality. While I love to purchase quality items, I am definitely a savvy gal who shops the sales. Luckily for me (and you!) the Nordstrom Fall Sale is currently in effect until November 12th. You can save up to 40% on styles for Women's, Men's, and Kid's clothing, shoes, accessories and more! There are some great deals in the Home section too. 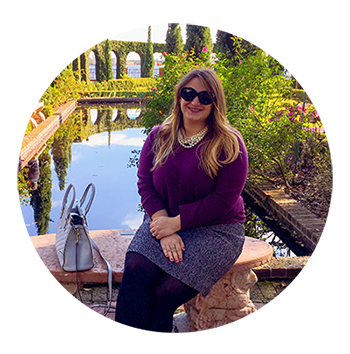 I've rounded up some of my favorite picks under $50 for you to shop below. Ruffles are huge right now, and I personally am loving it. If you're ready to fully embrace the trend, the Ruffle Sleeve Sweater is for you (shown in the Heather Muslin color -- but it comes in an equally gorgeous Heather Pewter as well)! If you love a ruffle but want to be more subtle, opt for the Double Ruffle Sleeve Pullover since the ruffles are only at the end of the sleeve. If you're more of a classically chic kind of gal, the Double Breasted Peacoat is fantastic. It comes in three colors: Black, Camel, & Charcoal, all of which have the tortoiseshell buttons. You can wear this coat with literally anything. Best part? It's only $37.90 -- what a great deal! My absolute favorite piece is probably the Plaid Fringe Cape. I have two of these, and I wear them all of the time in the Fall and Winter. When it's chilly, layer the cape over a long sleeve basic tee with Indigo Skinny Jeans or Moto Ripped Skinny Jeans. 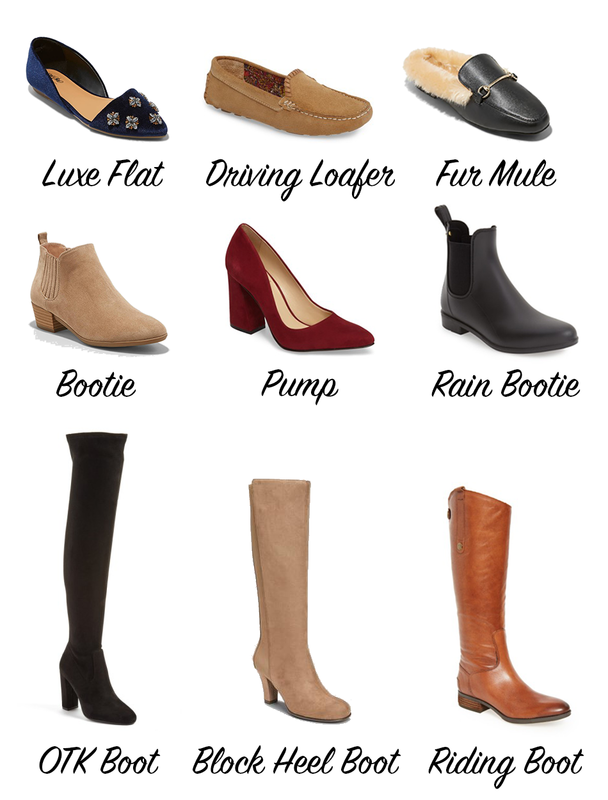 Pull the look together with the Loafer Mule or your favorite pair of booties. When it comes to Fall accessories, I tend to keep it simple with comfy scarves and a fabulous neutral bag like the Zola Satchel for day and the Melrose Clutch for night. If you are going for a bolder look, throw on the Leora Hoop Earrings or Velvet Headband to instantly get the wow factor. It's a great time to expand your Fall wardrobe or to start your holiday shopping. (Yes, there are really only 48 days until Christmas!) I hope that you find something that you will love. Pro tip: if you love something, act fast! Fall Sale items sell out very quickly. What are your favorite items from this year's Fall Sale? I would love to hear from you and know what you purchased! This recipe is very close to my heart. It is the first dish that I cooked for my husband when we were dating. I joke that it's the reason he fell in love with me. 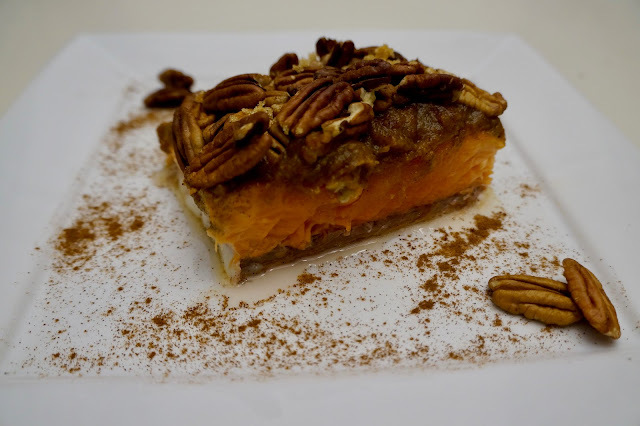 All kidding aside, Pumpkin Pecan Salmon is a simple and delicious recipe that's become part of my annual Fall rotation. I hope that you will love it just the same. And, who knows? You might end up cooking it for your future husband! Combine the pumpkin, cinnamon, nutmeg, and brown sugar in a mixing bowl. Lightly grease a baking pan with olive oil or coconut oil. Generously cover the salmon fillets with the pumpkin mixture. Add the pecan halves to the top of the fillets. Lightly sprinkle the remaining brown sugar on the fillets. Bake for 30 minutes. Allow the fillets to cool for a few minutes before plating. Garnish the plate with pecan halves and brown sugar. Happy Fall, y'all! Fall is my absolute favorite season. While I get kind of cheated here in the South, I still love it. Fall brings cooler weather, pumpkin spice everything, comfy sweaters, blanket scarves, and most importantly -- great footwear.